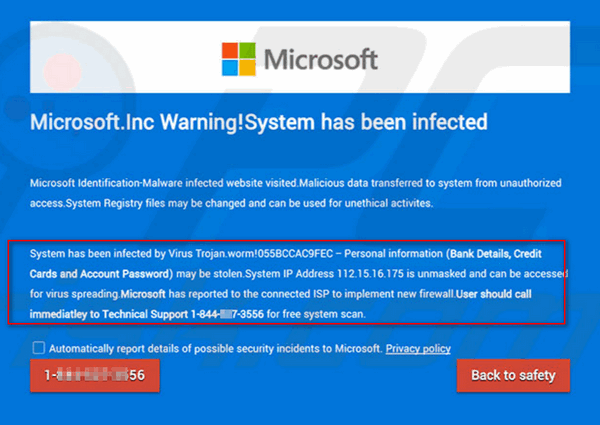 Microsoft is NEVER Going to Tell You That Your Computer is Infected! Our mission is to help keep you safe. 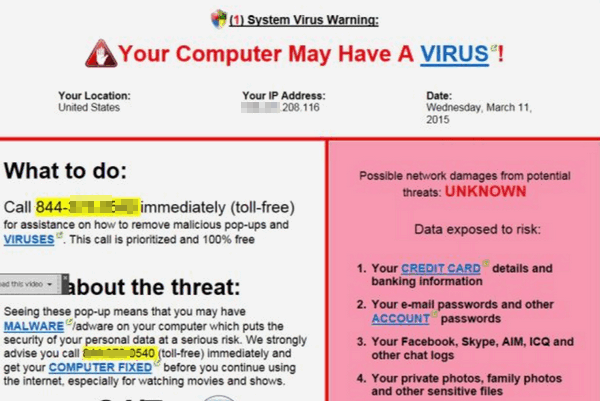 We hope this helps you recognize a scam if you ever seen one. 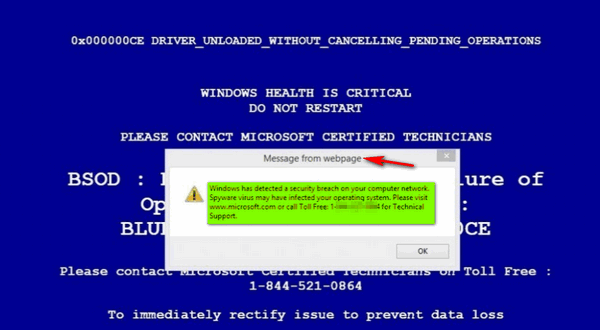 They are also calling on the phone and leaving a message that you have a virus and need to call them right away. For a couple of years now it’s been the phone calls. 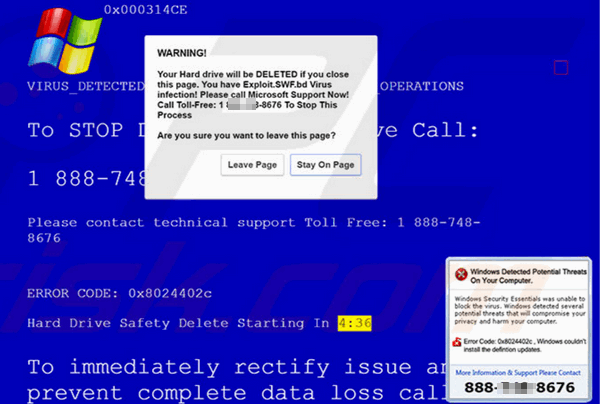 For the first time last week, I received a pop-up about my anti-virus program being corrupt. I ignored it and ran the program about an hour later NOTHING wrong. It’s a huge issue trying to get your bank to help you, so treat everything unusual with suspicion. 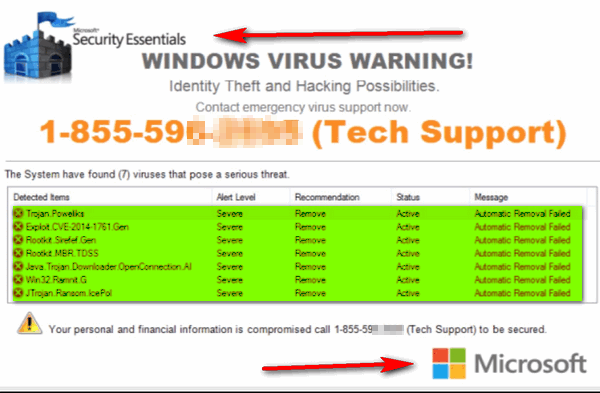 I never click on any of these and even though my computer may truly be infected then so be it. I will deal with that at a later time. I find it so miserable that this wonderful thing that we call in the internet has become so stress ridden and has us so paranoid! I got one of those calls just yesterday! I didn’t hang up though. I set the phone down on the counter and walked away, came back about 5 minutes later, and they had hung up on me! too late…I fell for it and it cost me $294.00 !!!!!!!!!!!!!!!!!!!! I called my credit card company and they are checking into it …I am hoping to get my money back……??? …….and to think it popped up a second time but my son was able to get rid of it for me………otherwise I would have been stuck for another $294.00 loss………. Just want to Thank You for looking out for all of us & for posting this. I did get a pop-up one day that said I had a problem with my computer, I just quickly got out of everything & shut it down. When I restarted it was gone & ran my scans, nothing was wrong. Thank you, thank you. So glad we have you both. In the past month or so I have had some of the above pop up on my screen. All kinds of numbers etc. (It was scary as I thought I was really being hacked) it had seconds on it telling me that in x second I would lose all & to please call this number. I immediately closed my computer completely and did not use same for the rest of the day. 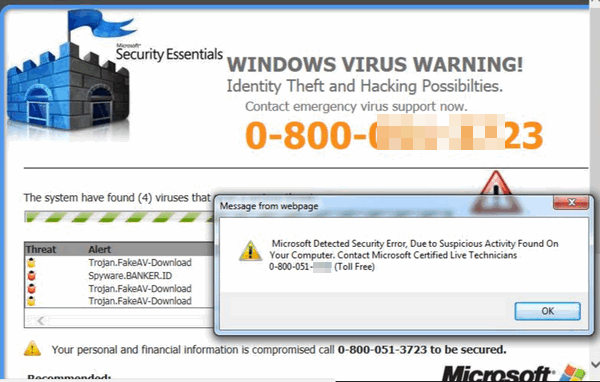 Did an Emisoft scan the next day and everything went well until the next scam. Like I said, close immediatly your computer, but yes it is scary.